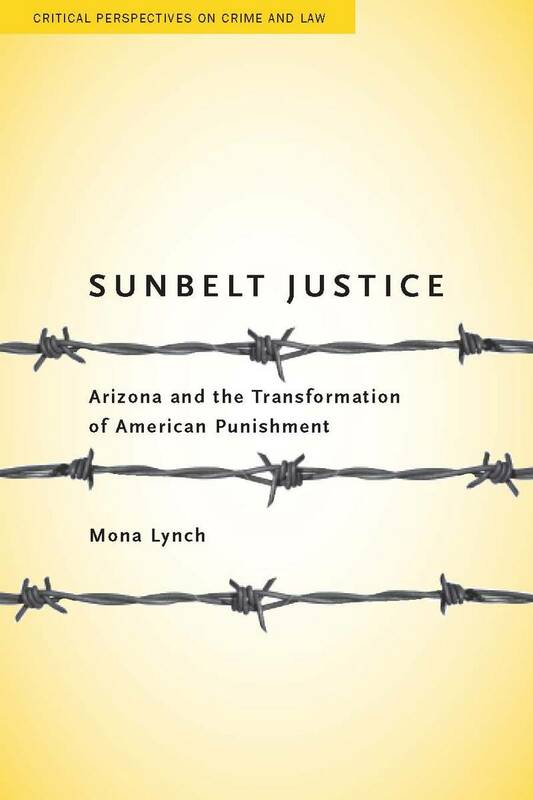 I am reading a new history of the Arizona prison system entitled Sunbelt Justice: Arizona and the Transformation of American Punishment, by Mona Lynch (Stanford UP, 2009). Like many states, Arizona has experienced exponential growth in its prison population in recent decades. However, Arizona’s penal history is also unique in a few ways. For one thing, Arizona was relatively late both to statehood (1912) and to having a centralized statewide department of corrections (1968), so its penal system offered policymakers something of a clean slate (in contrast to the Eastern and Midwestern states, and even to some extent California, where the penitentiary model and rehabilitative ideal had deeper institutional and philosophical roots). Also, Arizona did not start out as a high-incarceration state. Rather, within 20 years or so, Arizona leapfrogged from a state with “a modest and stable level of imprisonment” into “a national trend-setting leader in delivering harsh punishment” (p. 3). Thus, it offers an interesting case study in how and why the prison population exploded in the late twentieth century. Lynch’s study merits reading in full for anyone with an interest in penal policy or the tragedy of mass incarceration, and I hope to blog further about her findings (particularly her account of federal court oversight of the Arizona prisons). If you don’t have time to read the whole book, at least check out this detailed review and summary over at the California Corrections Crisis blog. For now, I’d like to highlight two of Lynch’s findings that stood out for me, and that could alter the way that we think about the history of the prison-industrial complex — and how to challenge it.